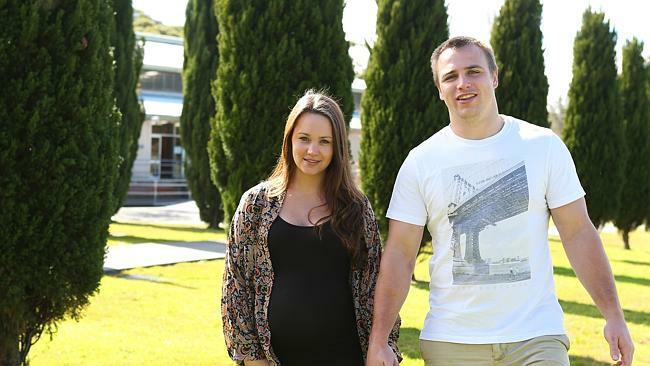 Two players from the NRL’s Manly-Warringah Sea Eagles have recently welcomed daughters. Kieran Foran, and his partner Rebecca Pope, welcomed their first child today, and have named their daughter Emerson Jane. Kieran has played his entire career with Manly, and also plays for the New Zealand national team. Jamie Buhrer, and his partner Grace Adler, welcomed their first child last November, and have named their daughter Isla. Jamie made his NRL debut in 2010 for the Sea Eagles. Last year he was chosen for both City Origin, and for New South Wales in the State of Origin series.